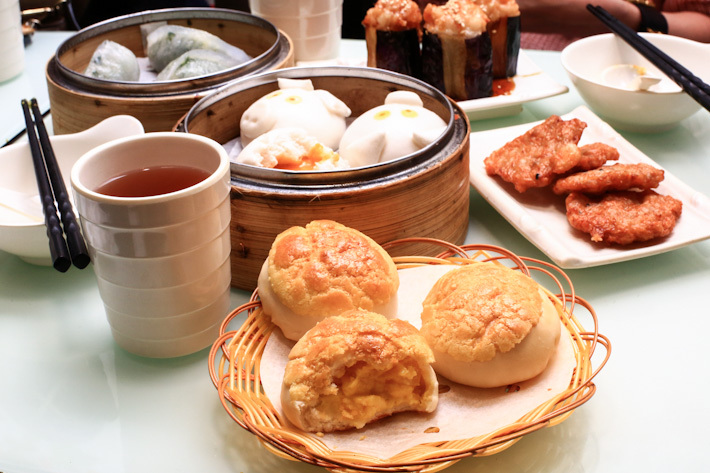 A place that serves affordable and creative dim sum is Dim Dim Sum, which has several outlets – Mong Kok, Sha Tin, Wan Chai and Jordan. 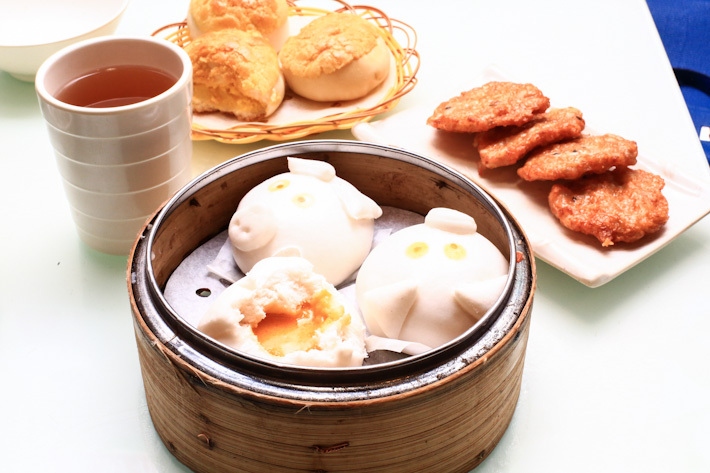 Besides the usual suspects like Har Gau (HK$28) and Siew Mai (HK$21), Dim Dim Sum also has a variety of interesting creations with a twist such as Pineapple Bun with custard and pineapple fillings (HK$19), Stuffed Eggplant (HK$21) with teriyaki sauce, and Pan-fried Lotus Root Cakes (HK$24). The Salted Egg Yolk Custard Buns (HK$20) that come in piggy shapes is a good bet, and is very photogenic! 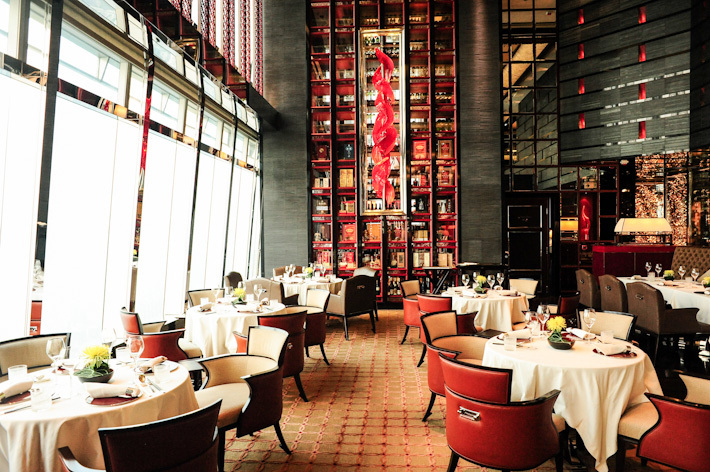 Awarded with two stars in Michelin Guide Hong Kong 2015, Duddell’s at Central is one of the bests that we’ve dined at. 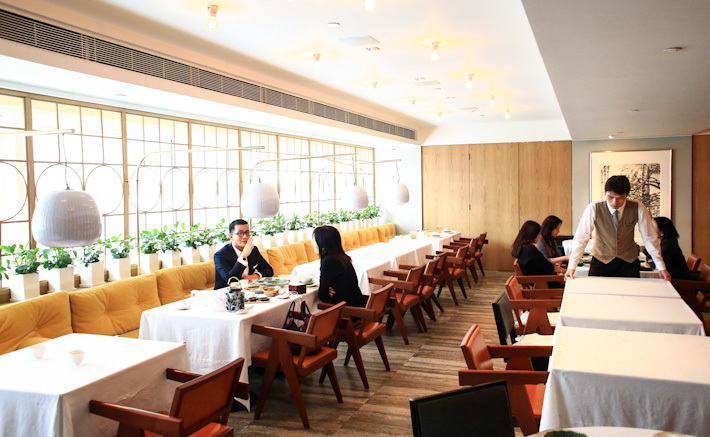 It boasts an elegant ambiance with fine dim sum and Cantonese soups, and has a rooftop bar. Good for lunch meetings, even better for unwinding after work if you need a drink or two. Duddell’s adds a touch of sexiness to the humdrum of the business district. 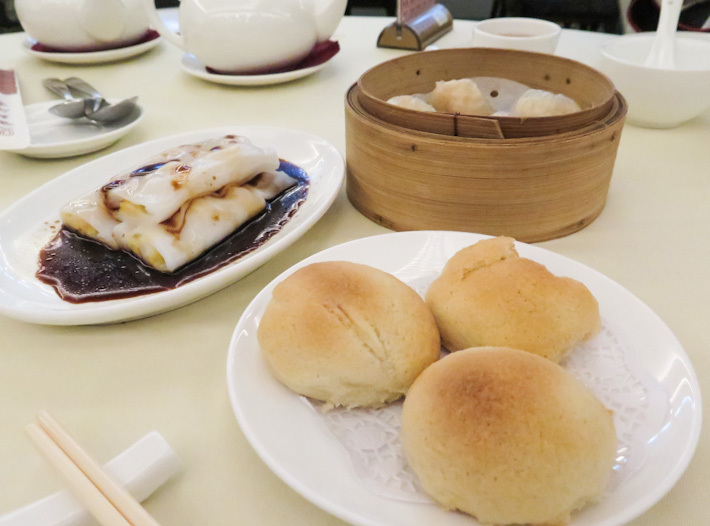 As for dim sum, Duddell’s offers the classic items that are presented in a refined manner. Shrimp Dumpling comes with Matsutake Mushroom (HK$60) or Fish Maw (HK$69), Pork Dumpling is served with scallop (HK$60), Mushroom Dumpling is topped with Black Truffle (HK$69), Abalone Puff with Chicken (HK$58)… You get the idea. 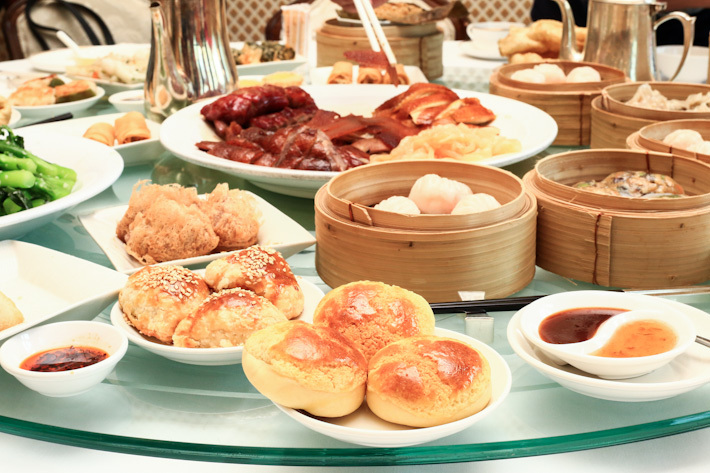 Sitting within Renaissance Harbour View Hotel is Dynasty Restaurant, an elegant space that dishes out fine dim sum. The price tags may be on a steeper side, but that is because the kitchen is not stingy with their ingredients. Some of the more popular dishes include Shrimp and Crabmeat Deep-Fried Toasts (HK$65), Quail Egg with Minced Shrimp and Pork Steamed Dumpling (HK$65), Barbecued Pork Bun (HK$58), and Black Truffle Sauce Vegetarian Dumpling (HK$58). 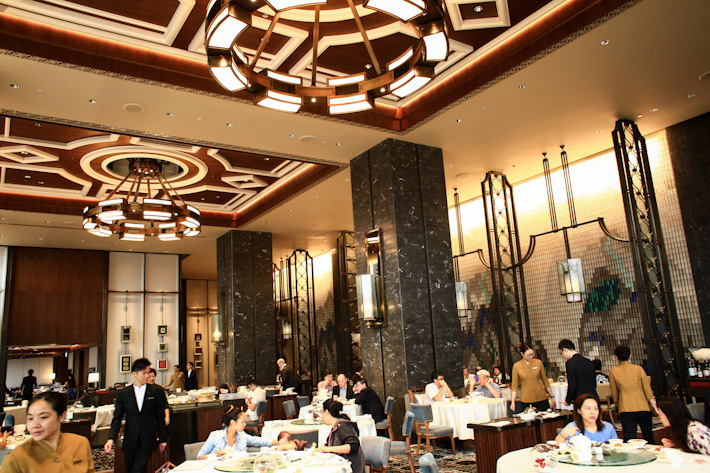 Frequented by the rich and famous personalities in Hong Kong, Fook Lam Moon is a 1-Michelin Starred restaurant that is renowned for its haute Cantonese cuisine. Dining here is not cheap at all; prices of dim sum range from HK$60 to HK$70. While the items are all prepared with premium ingredients, the price tag is not for all to digest. The vibe can be a little pretentious too, but there is a reason why the high societies love it so much and why the place is always packed on weekends. Their dim sum is indeed pretty elegant. Dim sum lovers, all hail Fu Sing Seafood Restaurant. The whole outlet looks traditional, but that is what makes them such an atmospheric spot for a dim sum meal. They are widely known for their shark’s fins, but we would take the dim sum any time. Filled with the sweetest char siew fillings in a airily soft bun, Fu Sing’s Baked BBQ Pork Buns (HK$38) are the best that we’ve had in Hong Kong. We can never forget that pillowy bun that came with a full center of char siew fillings and a crusty pineapple-shaped top. Other than that, the Steamed Rice Rolls with Dough Stick (HK$48) and Steamed Shrimp Dumplings (HK$38) are really satisfying too. Fu Sing Seafood Restaurant has three outlets in Hong Kong – Wan Chai, Causeway Bay and Central. 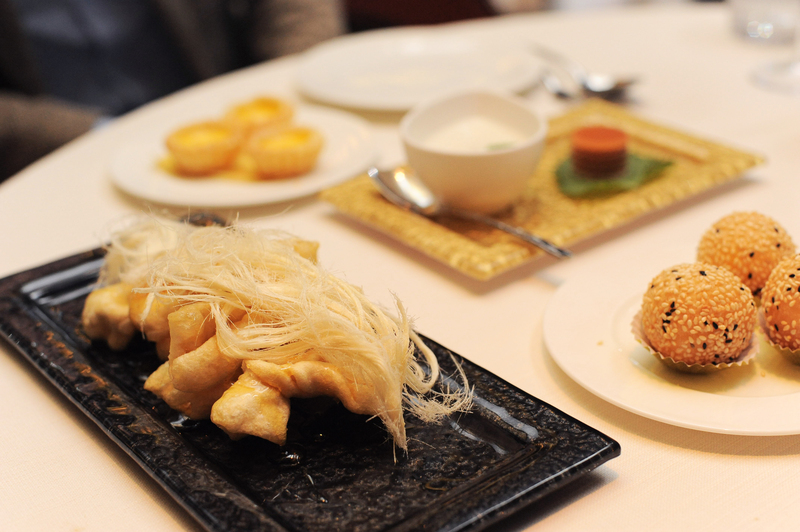 The most consistent Michelin Star Restaurant for dim sum? Lei Garden wins the award hands down. 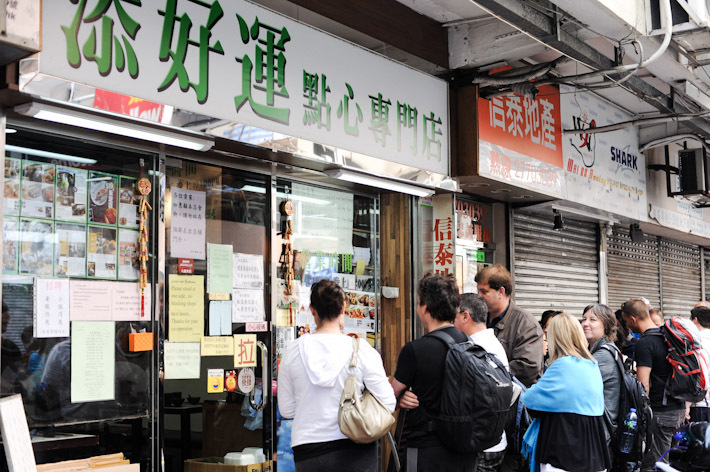 Lei Garden is known for its weekend dim sum crowds, and it is little wonder given the quality of their dim sum. The food is consistently remarkable and always reliable no matter which branch you go to or when you visit. The Steamed Thousand Layers Sponge Cake (HK$32) was really soft and sweet, and the Steamed Custard Stuffed Buns (HK$32) with a flowy center left a deep impression on us. 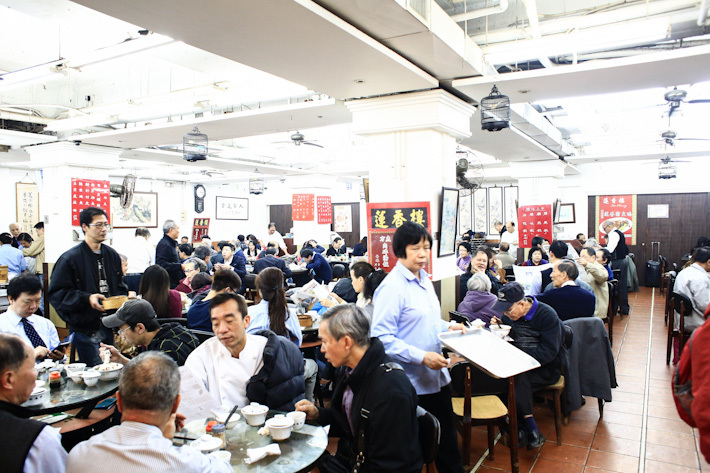 An institution in Hong Kong, Lin Heung Teahouse has been around for decades and it is one of the oldest teahouses in Hong Kong. Conveniently located at the bustling Wellington Street, Lin Heung offers a taste of Old Hong Kong, and is very well-loved by both locals and tourists alike. 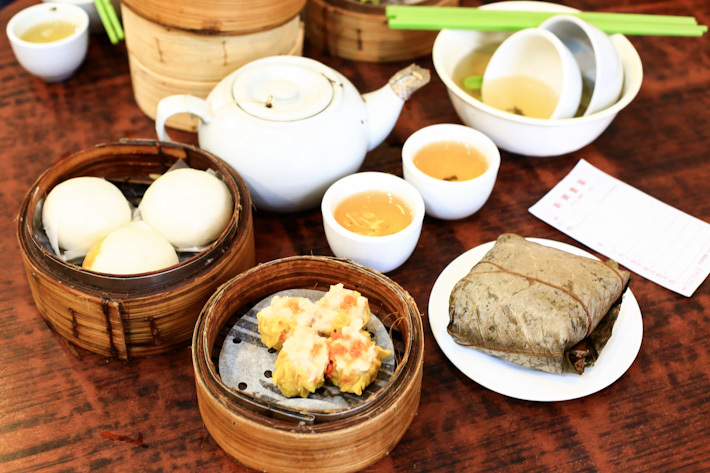 Lin Heung Teahouse is as old-school as it gets; dim sum is served using trolleys the traditional way, and most of the staff have worked there for decades. If you get there early enough in the morning, you will find yourself among locals who have been dining there for many years. 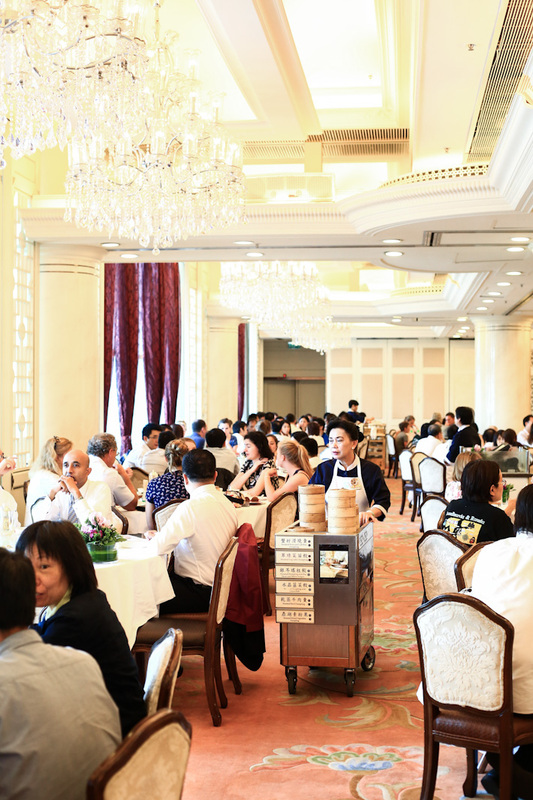 The staff here tend to be ruder – especially to foreigners who cannot speak Cantonese – but that’s just part of the Hong Kong’s traditional dining culture, no? 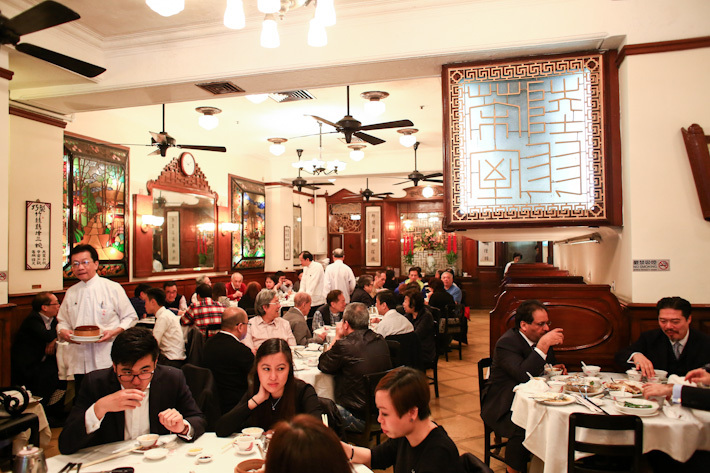 Dining at Luk Yu Tea House – also one of the oldest dim sum restaurants in Hong Kong – is as though you were transported back in time to the 60′s. Very traditional with ancient touches of jades and marbles, Luk Yu Tea House actually looks and feels like a movie set. But we really love how atmospheric it is this way, less the gangsters, of course. Yes, it used to be a haunt for the biggest gangsters in town. Such history to speak of! Prices are not cheap, but what you are paying for is the experience of dining at a traditional teahouse with authentic Hong Kong dim sum. Service is bad too – be prepared to face rude and nonchalant servers. If you are willing to overlook these, Luk Yu is still worth a visit for those who have never been. Don’t leave without trying the Siew Mai with Pork Liver. 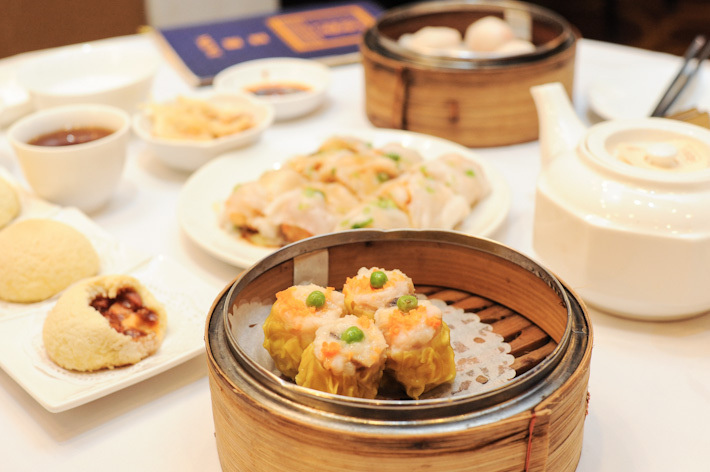 The flagship outlet at City Hall offers the most quintessential Hong Kong dim sum experience. Accommodate 500 guests at one go, Maxim’s Palace is massive and it is noisy. 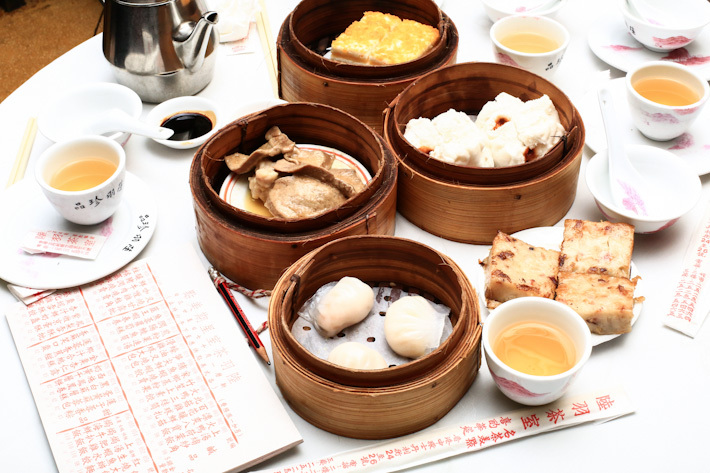 It ranks top for its authenticity by retaining its practice of serving dim sum on trolleys – the good ol’ traditional way. There will be 18 trolleys – filled with a hundred varieties of dim sum and signature dishes that are all prepared fresh from the kitchen daily – going around the dining hall, and you pick what you like. No matter how many times you go back, there is always something familiar to pick from among your favourite dishes, as well as something new to try. Everything on the menu is pleasantly affordable. You can expect your everyday dim sum selection, special creations and daily surprises that can be found on the black board. And nothing is above HK$26. 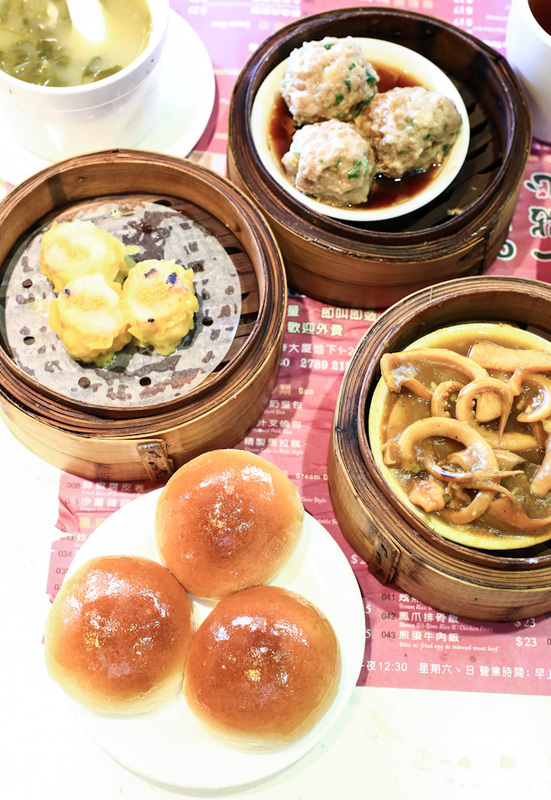 Choose from the classic favourites like Baked Barbecue Pork Bun (HK$15 for a plate of 3), Steamed Siew Mai (HK$24 for a basket of 4), Steamed Vermicelli Roll with Deep Fried Flour Roll (HK$17 per portion), Steam Cake in Mala Style (HK$16). There is something so enchanting about enjoying a cheap dim sum meal while being surrounded by locals, and trying to understand all their concurrent Cantonese conversations. If you are feeling peckish in the middle of the night, head over to Sun Hing Restaurant in Kennedy Town. It opens from 3am till 4pm the next day. It is very chaotic in there though, so do not linger. Just eat and go. 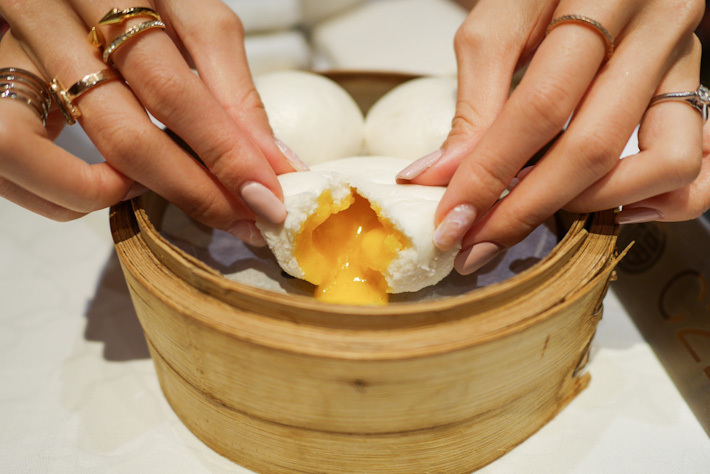 There is a dim sum counter where you can pick your dim sum, and the staff often brings out special dishes that are freshly prepared every hour. We observed and noticed the locals actually sit around to wait for these random specials. Anyway, be sure to try the much-lauded Custard Bun. 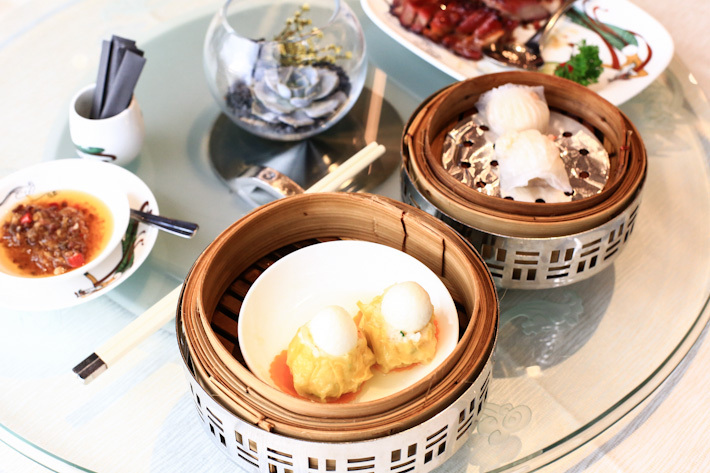 Most dim sum dishes are priced below HK$20. Tim Ho Wan shot to fame being the original poster boy as the cheapest One-Michelin Starred Dim Sum Restaurant. 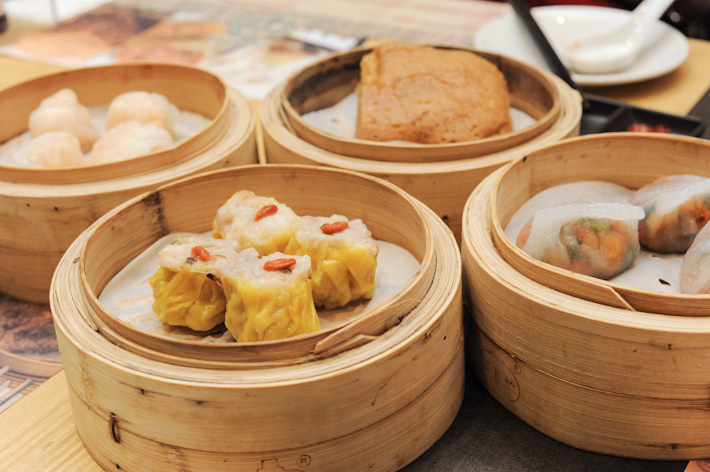 Within a few years, its dim sum empire has expanded to Singapore, Kuala Lumpur, Manila and Sydney. We used to be big fans of Tim Ho Wan as it was really good and cheap. But prices have gone up significantly and the standard is no longer as good as before. That said, if you have never tried Tim Ho Wan before and do not mind to wait in line, it is still worth a visit. Tim Ho Wan may no longer be the cheapest dim sum restaurant in Hong Kong, but it still has several things going for it. The much-lauded Baked BBQ Pork Bun alone is reason enough for you to visit them. 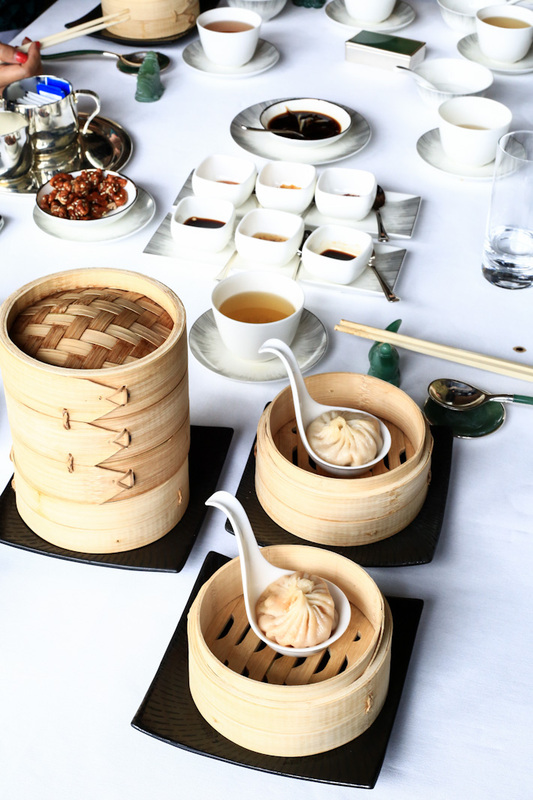 For dim sum with a view, no one can beat Tin Lung Heen at the swanky Ritz Carlton Hong Kong. Perched at the top of the commerce building, Tin Lung Heen is perhaps the highest Chinese restaurant in Hong Kong and it offers unparalleled views of city’s skyline. The menu sprawls across many categories, including roast meat, vegetables, dim sum, but the must-try dish is its Kurobuta Pork. 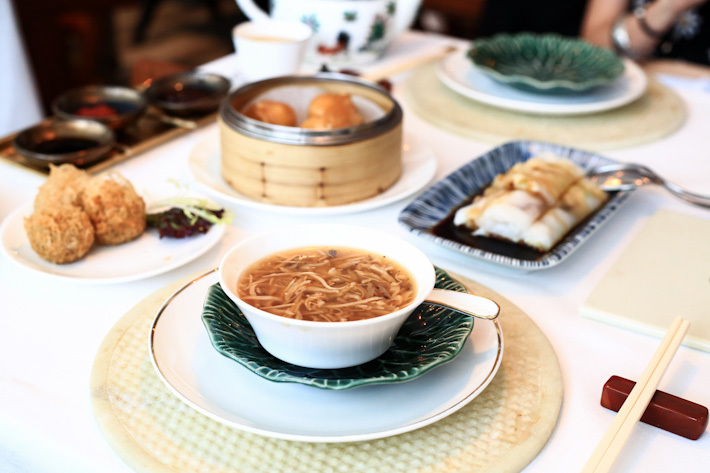 The excellent dim sum offerings, coupled with the amazing view and excellent service, make Tin Lung Heen a destination Hong Kong for dim sum lovers. Yet another old and traditional-looking outlet is West Villa at Causeway Bay. 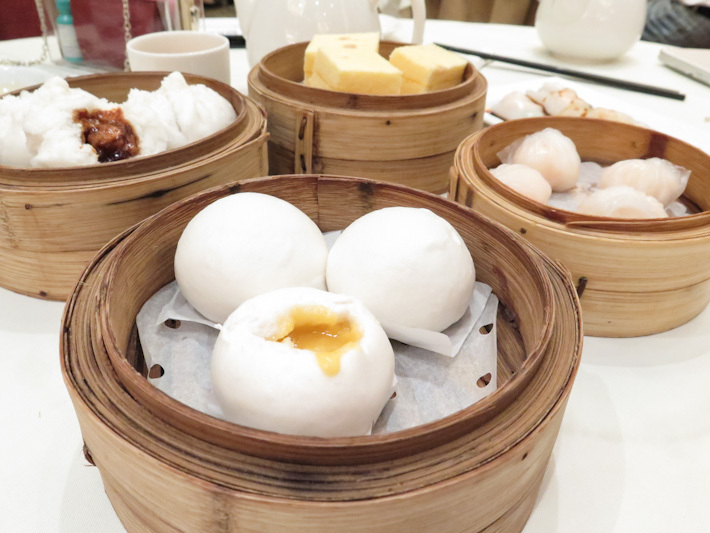 We learned of the countless raves about them, but strange enough, while the ambiance is that of the typical Hong Kong dim sum house, we were not particularly impressed. Alright, food was decent though. They take their braise seriously, and the Goose Webs with Abalone Sauce (S$70) is a bestseller. The roast options are worth ordering too – Sliced BBQ Pork (S$88), Cantonese Roasted Pork (S$118) and Roasted Baby Pigeon (S$68). 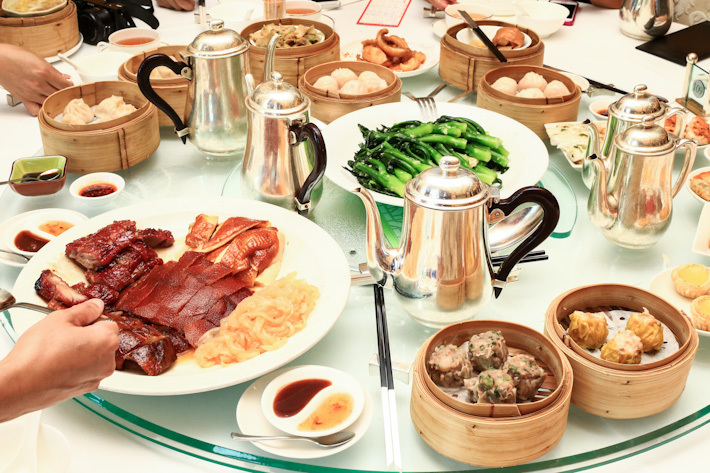 Known for its refined Cantonese cuisine, Yan Toh Heen is a 2-Michelin Starred restaurant at Intercontinental Hong Kong. 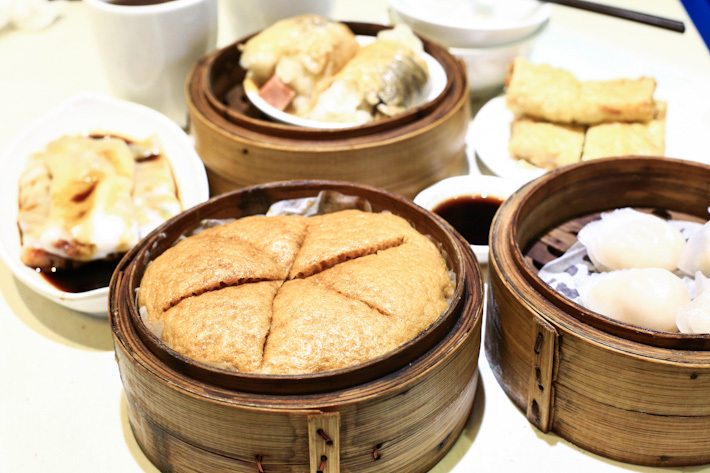 Start with the Yan Toh Heen Three Trios (HK$158) – a dim sum platter of Puff Pastry with crabmeat, mango and avocado; Bun with Duck Liver and Taro; and Crispy Rice Paper Roll with Seafood, Peach and Almonds. Other interesting dim sum options include Baked Roasted Duck & Taro Buns (HK$66), Wok-seared Buns with Wagyu Beef and Cumin (HK$60). Yah Toh Heen’s Peking Duck (HK$1,180) is also one of the best in Hong Kong. 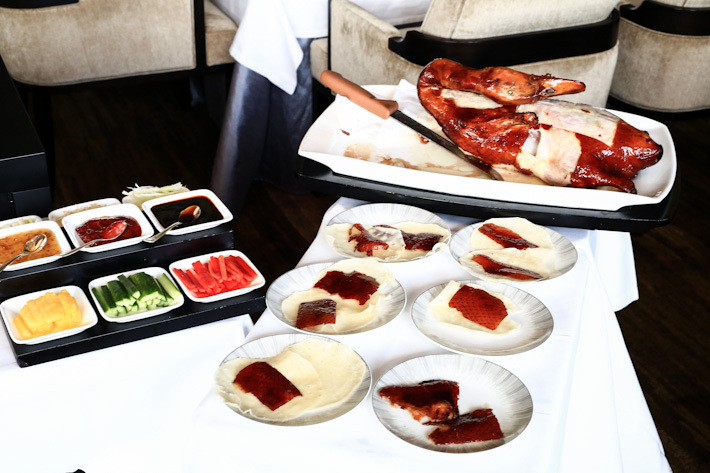 What makes the Peking Duck here different is the condiments and sauces. It is served with six condiments that include green papaya, cucumber, red chilli, pineapple, yuzu and spring onion; as well as three different sauces – traditional sweet sauce, osmanthus plum sauce, and black garlic chilli sauce. For more recommendations, read our curated Hong Kong Travel Guides. I so love dimsum, this little piece means “touch your heart”, this is why many hong kong people love dim sum. Anyway, I have to commend you with the list you provided, there’s really LOT of dim sum places in hong kong that can satisfy your taste buds! 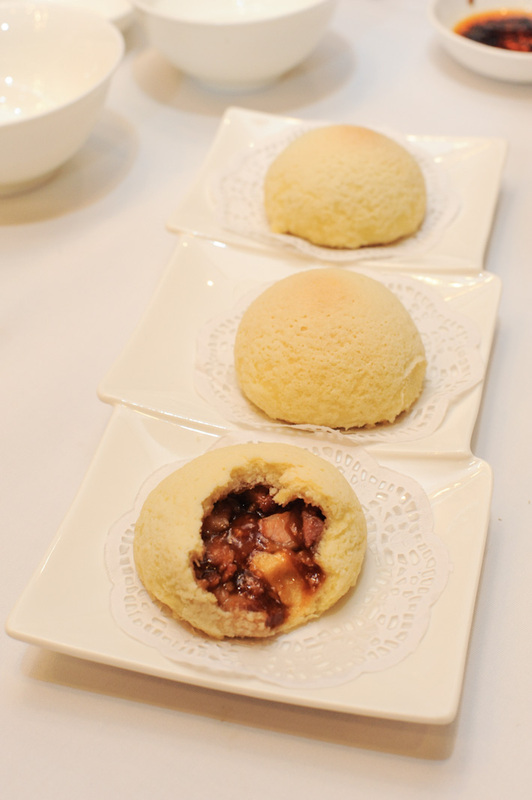 Do you know if the Tim Ho Wan location is now only in the IFC building? I heard the neighborhood one was closed down. cant believe ?? ?? is not on the list ….. I heard Loong King Heen at four seasons is super good as well! Reviewer needs to do much more homework! The list totally miss the mark!! Miss out on at least a handful of great establishments! Echo J Leung ‘s remark for omitting ??? ??? Awesome recommendations! I’ve tried Shun De Kung Restaurant in Jordan and they serve up very fresh and delicious dim sum at great value. 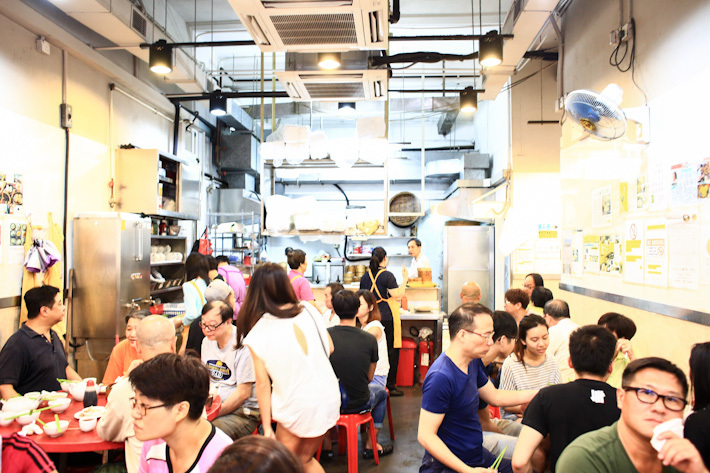 It is a super local Hong Kong experience but there is a weekly gathering with a local food guide to help break it down for tourists and those new to dim sum. I’ve been to one and had a great time.